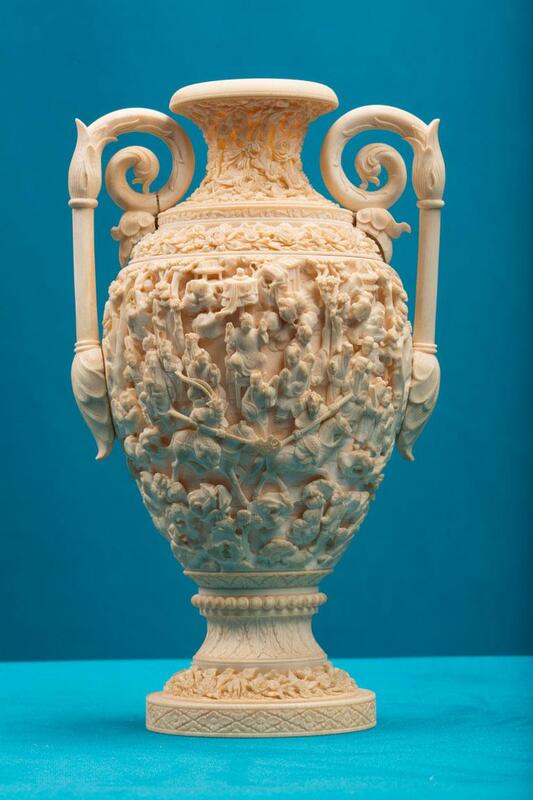 An incredibly beautiful exhibit among the rich ivory carving collection of the Museum is this vase. The vase looks amazing with the intricate carvings. It appears that a battle scene is carved in it.